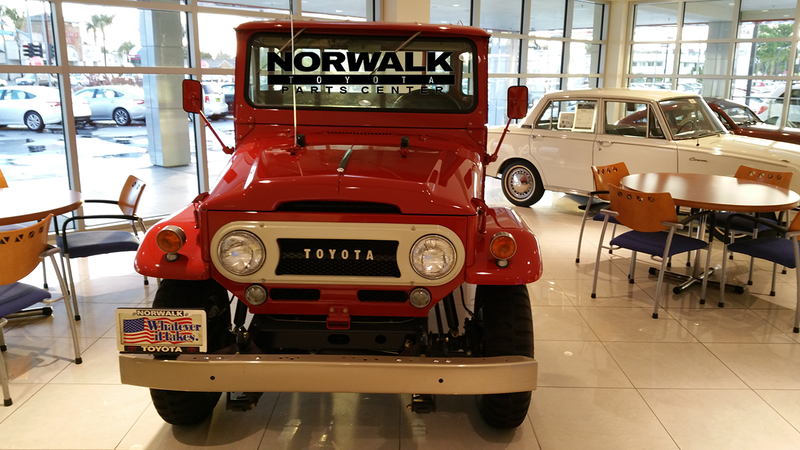 Here at Norwalk Toyota we have collected sever vintage model Toyota's with we proudly display. The J45/47 was a long-wheelbase four-wheel-drive vehicle, available in two-door hardtop, three-door hardtop, four-door station wagon and two-door pickup models. The four-door station wagon model (FJ45V-I) was the shortest-lived of the J40 series, as it was replaced by the FJ55G/V in 1967. 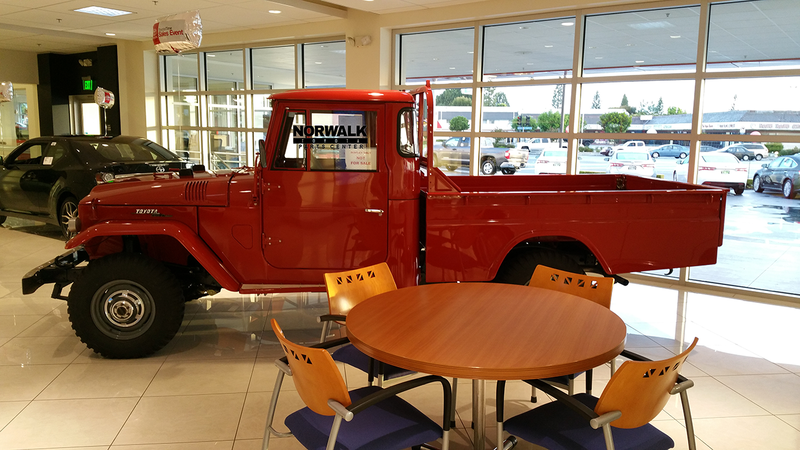 The FJ 45 on display here was originally purchased New from Norwalk Toyota in 1967. 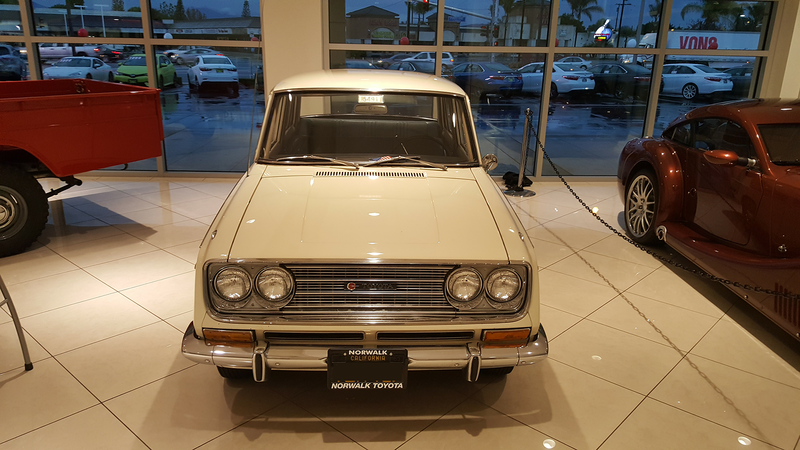 Over 4 decades later it found it's way home here in our showroom alongside our other classic Toyotas. 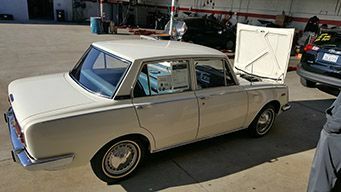 Our 1966 Toyota Corona looks like it just came off the showroom floor in 1966. The 3rd generation Corona was produced from 1964-1970. 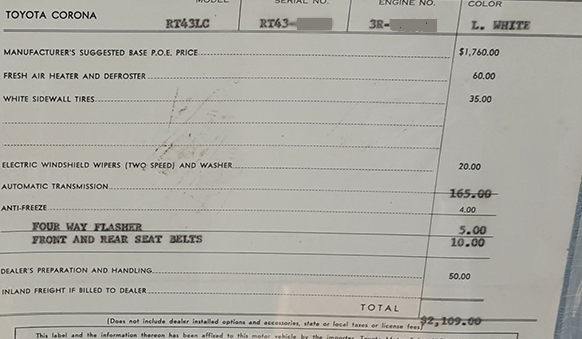 The car had an MSRP of $1760.00 and was available with windshield wipers and optional front and rear seat belts.